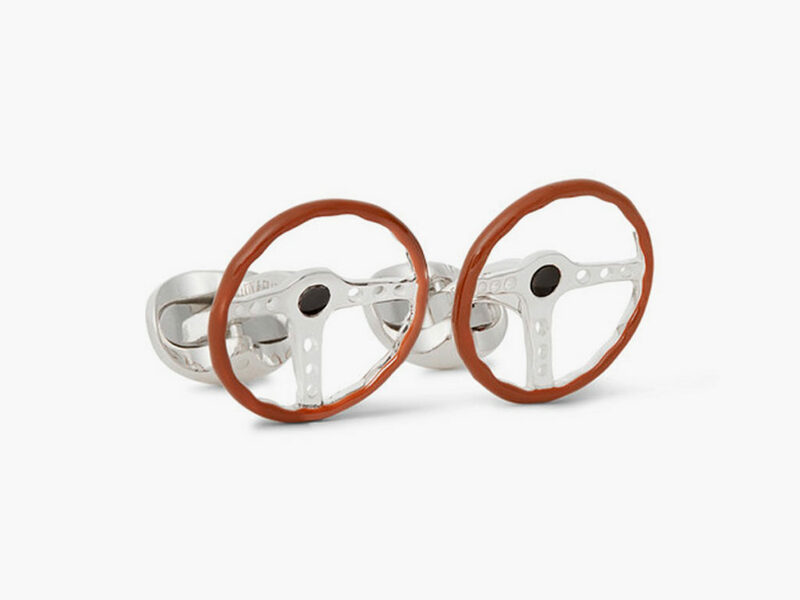 These steering wheel cufflinks will let everyone in the room know that you’re serious about your car game. Like his suit and tie, cufflinks say a lot about a man. In fact, some might say that it doesn’t matter if he orders his drink shaken, not stirred, if his cufflinks don’t match his confident swagger. Fortunately the Deakin & Francis vintage steering wheel cufflinks can bring that confidence to any party. 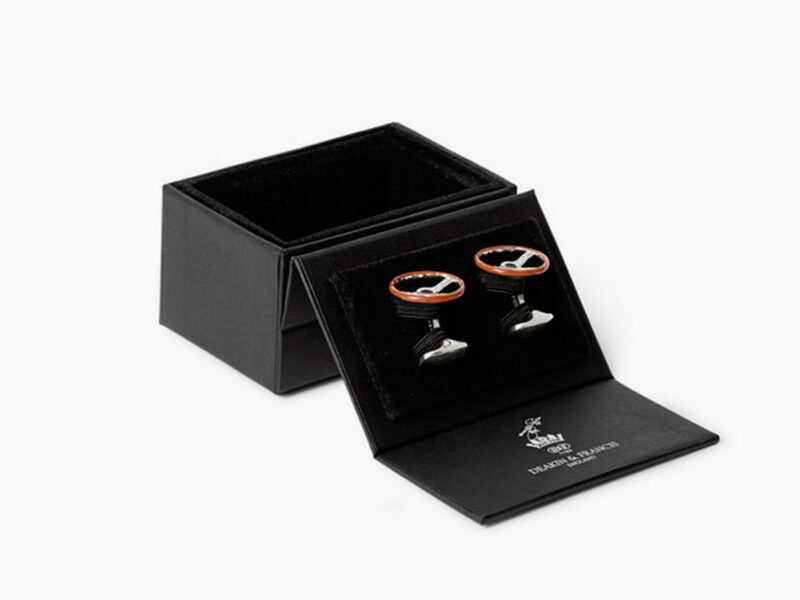 Inspired by leather-wrapped steering wheels of vintage automobiles, the Deakin & Francis vintage steering wheel cufflinks will let everyone in the room know that you’re serious about your car game, but they aren’t just for the auto enthusiast. In fact, they’re for anyone interested in well-crafted timeless accessory that will turn heads at any holiday party. Speaking of, these cufflinks might just be this year’s perfect stocking stuffer; or if you’re on the naughty list, you’ll have to order your own pair and act surprised. 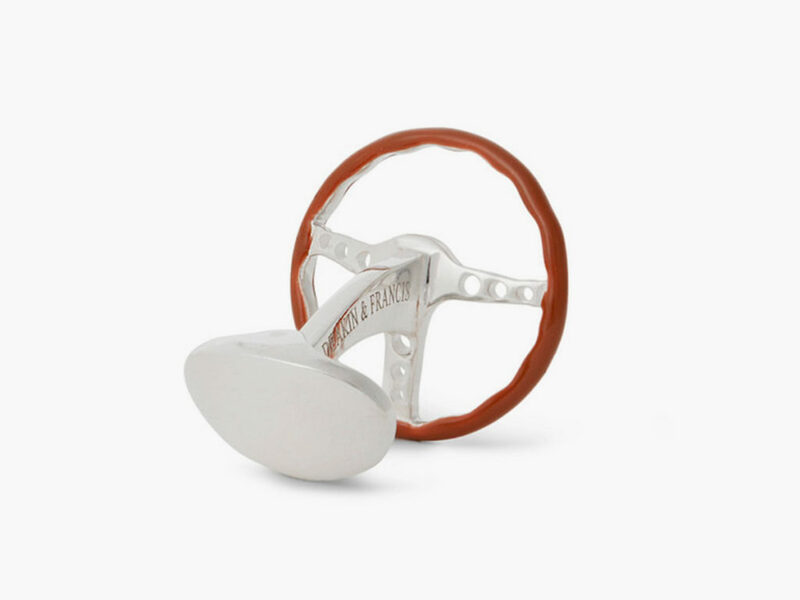 The Deakin & Francis vintage steering wheel cufflinks are made of sterling silver and enamel, so they will last you decades.